The first update on the executive saloon in two decades brings a hybrid engine and new interior technology—but to collectors’ dismay, it won’t be available outside Japan. Toyota has just introduced a new Century. This is a big deal. 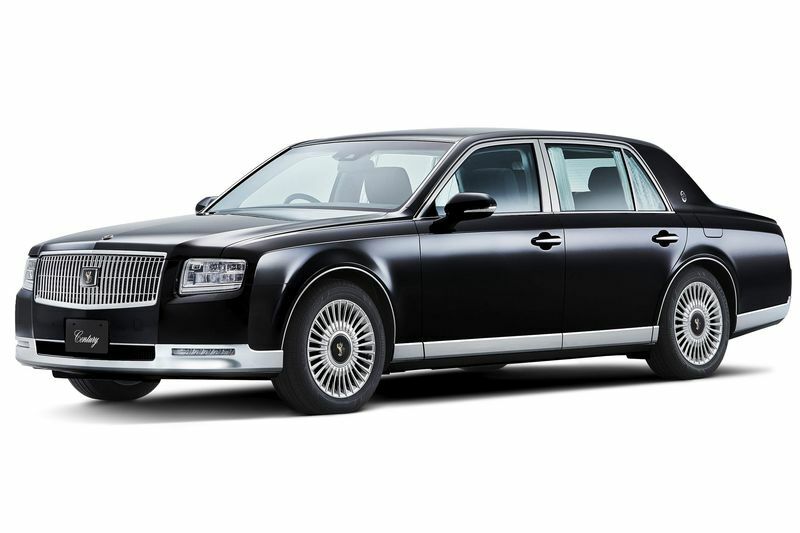 The Toyota Century is the most exclusive car in Japan. Introduced in 1967 and named for the 100th birthday of company founder Sakichi Toyoda, the Century defines top-tier Japanese luxury, the kind reserved for heads of state, chief executive officers, and Yakuza bosses. It is so iconic as a status symbol that it is exempt from stringent national restrictions on vehicle and engine size. It cannot even be purchased in a typical dealership, but only at specialized stores, and only by invitation. The emperor of Japan is chauffeured around in a modified Century. Stately, formal, and very conservative, the model has gone through only two generations in the 50 years since its inception. This is an eon in the automotive world, where a standard car generally lasts just six or seven years. Even the Rolls-Royce Phantom, which evolves at a glacial pace, recently saw a generational change after a dozen model years. Of course, on first glance. you’d be hard-pressed to tell the difference between the old Century and the new one. This is intentional. A car with this level of cultural import must be recognized immediately for what it is, and the new car cannot render the old one archaic or irrelevant. While it looks remarkably similar to the outgoing car, the third-generation Century actually features all-new bodywork. Look closely, and you will notice that it is slightly more formal in the angle of its front end, slightly more recumbent in the tilt of its windshield, and slightly thicker in its rear pillar, the better to protect the identities of its back-seat occupants (Centuries are most often chauffeured). It is also a smidge longer, wider, and lower, for ease of graceful entry and exit. Inside, the car remains the same in many ways as well. Why mess with the hushed perfection of textured headliners, hand-knit lace antimacassars and privacy curtains, and expanses of clean-grain wood on the door trim, armrests, and writing table. Also remaining virtually unchanged is the wool velour covering the seating areas. Fabric seats such as these are viewed as far more elegant than leather in Japan, as they’re quieter and don’t heat up or cool down with the climate. 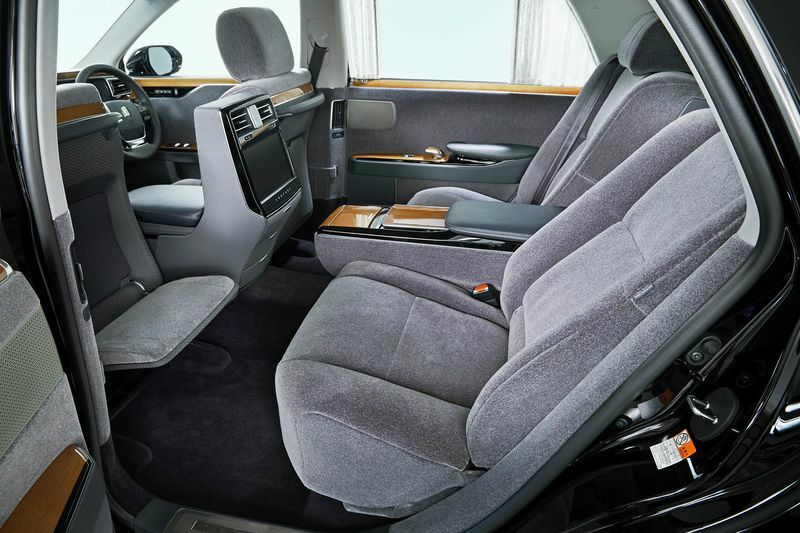 A hinged, pass-through opening from the left rear seat to the left front seat remains another Century heritage feature, allowing pampered back-seat occupants to stretch their legs. Of course, some concessions have been made to the contemporary era. 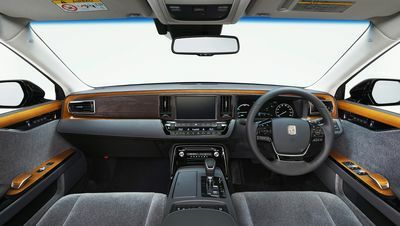 A large display has been integrated on a raised armature between the rear seats to deliver information and entertainment to the VIP occupants. Another LCD panel in the armrest controls the temperature of the cabin and the reclining and massaging functions of the rear seats. And there’s a screen up front for the chauffeur as well. The Century has always been known for preternatural silence when underway, although the previous-generation car featured a trusty 12-cylinder powerplant that was unique to the car. It was not offered in any other Toyota vehicle, and no other Japanese car featured such a huge engine. (It was highly taxed in Japan.) In a nod to increased emissions and efficiency regulations, the new car sadly loses the distinctive V12 but features a new hybrid V8 engine. Electric motors, with their stealthy lack of exhaust noise, are well suited to luxury applications. While Toyota has had great success selling luxury cars to Americans via its upscale Lexus division, the Century has never been available in the U.S. market. But that hasn’t stopped collectors and obsessives, who mine the internet for automotive unobtainium, from bringing them into the country. While American regulations preclude the import of most contemporary foreign-market vehicles, any car that is more than 25 years old can be brought over with impunity. While this leaves out the 12-cylinder Century II, which was first available only 20 years ago, in 1997, first-generation Centuries from 1992 or before are now fair game, and they have become increasingly sought after. Brad Phillips is one of those American Century fetishists. Phillips manages private client services for vintage automotive insurance and valuation company Hagerty, working with collectors who have vehicular assets in the more-than-eight-figure range. He owns a slew of British, Italian, and American cars. But he couldn’t be more ecstatic about his Century. So much so that he took his 1985 Century on a 3,100-mile road trip this summer. Despite the complete unobtainability of spare parts, he would do it all over again.